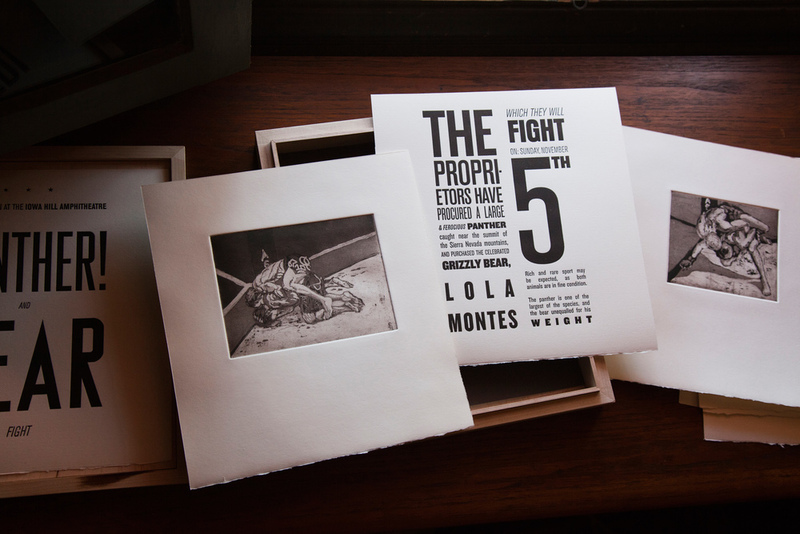 Four etchings depict Mixed-Martial-Arts fighting, interleaved with text from a poster advertising a panther vs. bear fight from the 1850’s, type re-designed by Dan Mayer. 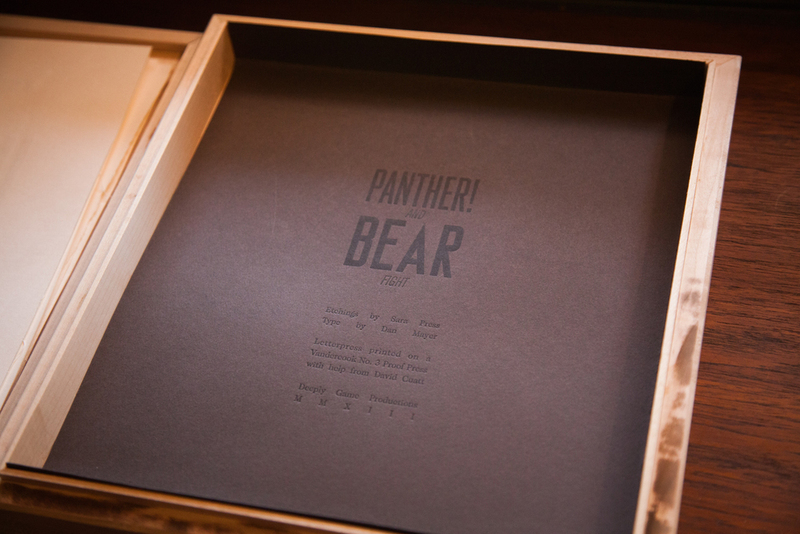 9 prints inside a solid maple box with title burnt on lid. Edition of 7. 2013. $650 each.